Apple is expected to debut three new iPhones in 2018 and of all them are expected to arrive with notched display design like the iPhone X. Rumors have also revealed that two of them would be high-end models featuring OLED panels and third one that would be fitted with an LCD panel will be an entry-level model. According to The Bell, industry sources have revealed that the two upcoming OLED iPhones are ready for mass production since they are aimed to debut in September. However, the production of the LCD iPhone has been reportedly delayed by two months. Apple will be incorporating notch design on an LCD panel iPhone for the first time and this seems to be taking more time to secure yield. Since its production has been delayed by two months, it is now being speculated that the company may launch it in November. Japan Display (JDI) and LG Display that are said to be provide LCD panels for the upcoming 2018 LCD iPhone are struggling to secure yields. An analyst has claimed that manufacturers are encountering light leakage problem while applying notch design on the LCD iPhone. Hence, the mass production of the smartphone is behind its usual schedule. Last year, Apple had announced the notched iPhone X as its first smartphone OLED screen in September alongside iPhone 8 and iPhone 8 Plus that came with regular LCD screens. The iPhone 8 duo were released soon after their announcement, but the iPhone X was made available in the market by November. Hence, the Cupertino company may apply the same strategy this year. It may so happen that the company may announce all three 2018 iPhones together in September but release the LCD iPhone in November. Samsung Display will be mass producing OLED panels for the forthcoming OLED iPhones by the end of this month. Foxconn will be receiving the display panels which will start assembling these iPhones by the end of July. 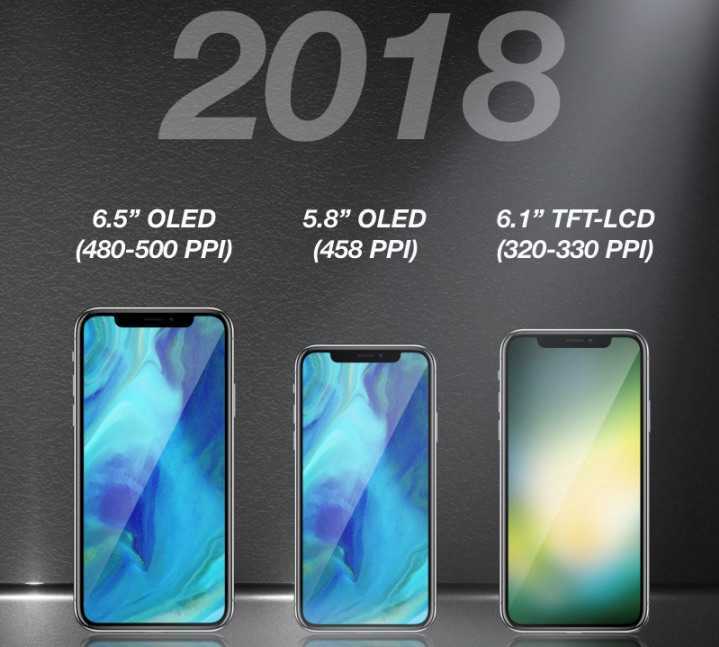 As far as upcoming 2018 LCD iPhone is concerned, its delayed arrival can be beneficial for Apple as it will provide it with sufficient time to urge customers to purchase high-end OLED iPhones that are likely to arrive with expensive pricing.